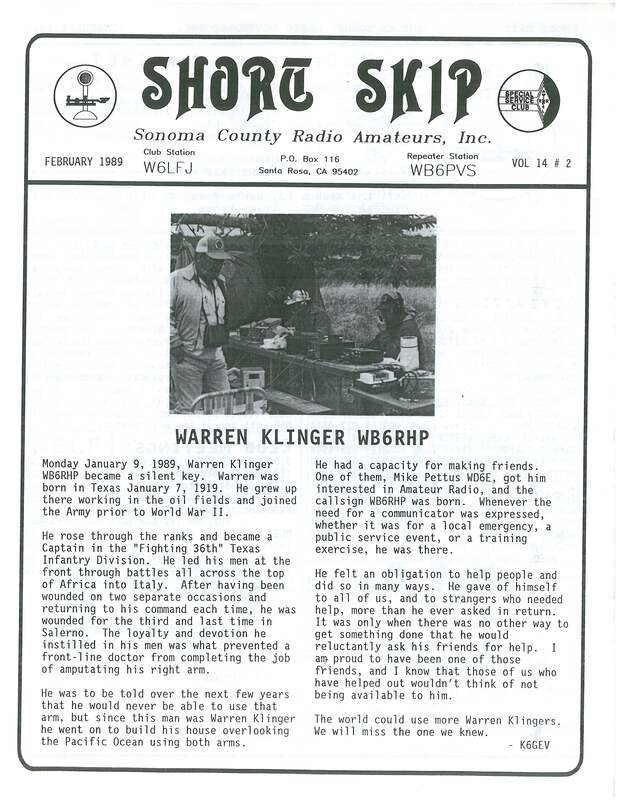 Historical copies of Short Skip, the newsletter for the SCRA. Available copies of Short Skip are linked below. If you have any copies not provided here, please contact Mike Von der Porten at MikeVdPCA@aim.com. Sept contact the email at the bottom. Dec Get that "Wish List" Ready for Santa! July Write Now - 239 members! June So Where's My New Ticket? June Is Solid State Technology Responsible for Hams Living Longer Lives? January - Iola Beckley KK6HRE Takes the Reins! March - Where are We Now? keep the files sizes reasonable: they are still big files. If you can provide cleaner copies, please pass them along. 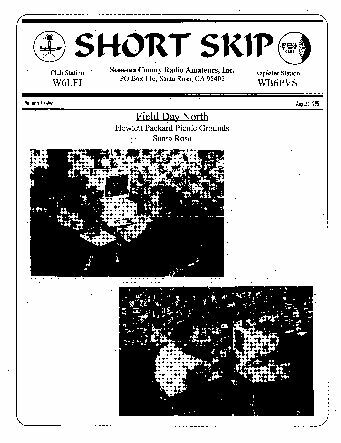 WD6DPH who generously shared their own collections of Short Skips for this archive. copies they have and a summary of those available here, click here. 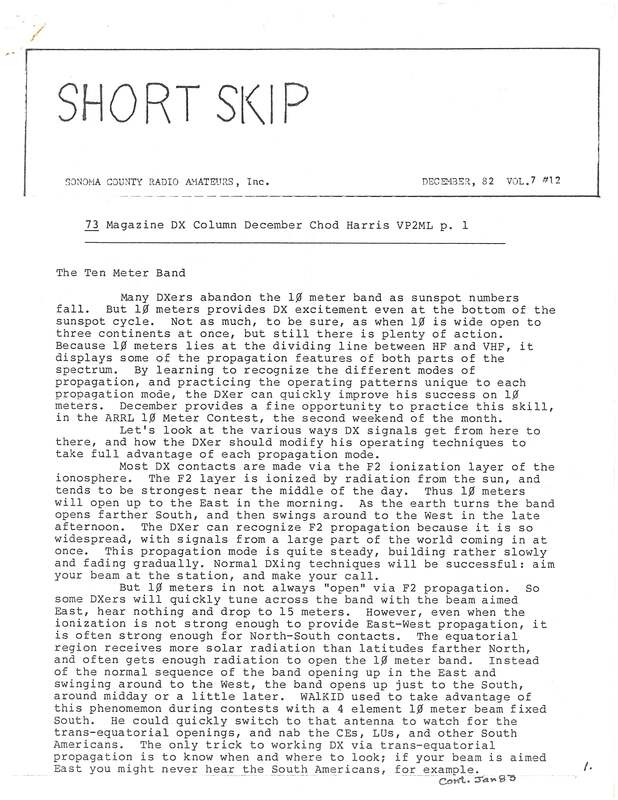 The USPS notes indicate the standard postage rate beginning with that issue. That sure has gone up over the years! Here's a history of the club. And, here's a table of the known officers and some key chairs since 1939. Western Region, and perhaps the second in the nation. Here are the VE documents from that session. The club's website can be found at www.sonomacountyradioamateurs.com or www.socoham.org. Mike Von der Porten, AD6YB, has developed a CPVC version of the popular 2-meter tape measure antenna.